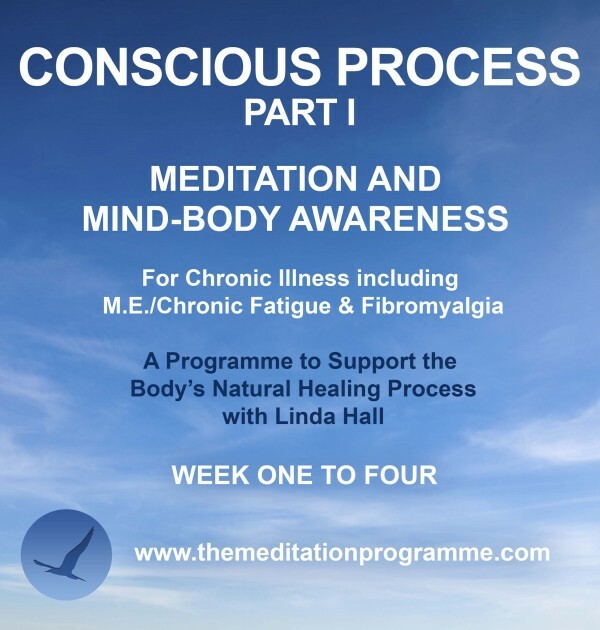 Conscious Process Part 1 of 3 - Support Programme for M.E. This product is Part 1 of 3 and covers weeks One to Four of the course. This is a real gem of a course! Each module is split into 3 short sections, which is great for people like myself who become easily fatigued. It is easy to listen to, informative, has great tips to incorporate into one’s daily routine. I would highly recommend it for all, whether new to meditation or those with experience. 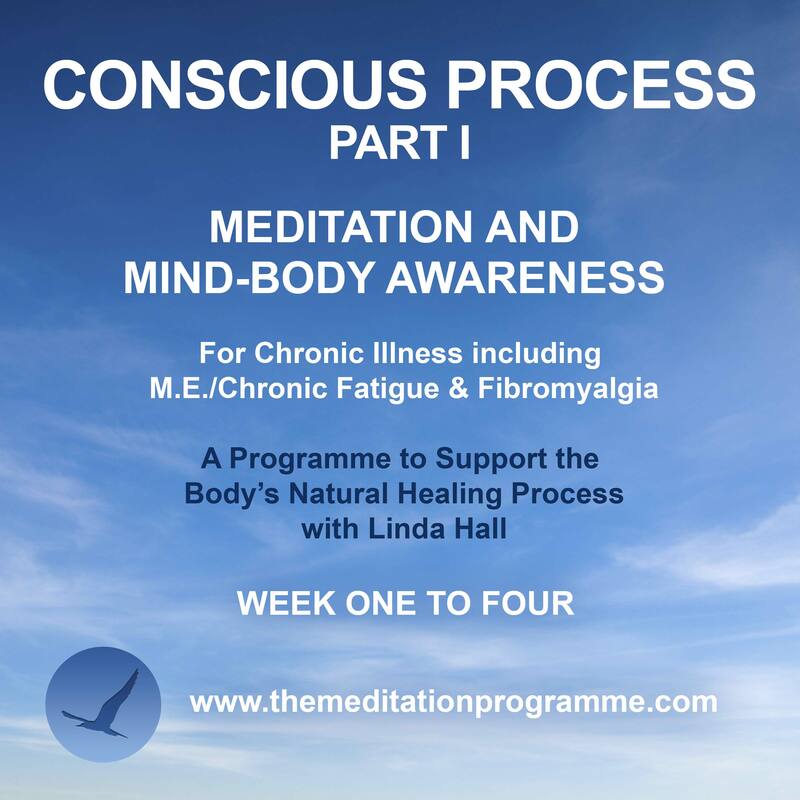 “I’ve just completed your ‘Conscious Process’ course. I am healing myself from a chronic auto immune condition and I have found the course immensely useful Thank you. Your meditations have brought me back to base so many times on my journey Linda”.